Mystic Light and Mystic Light Sync: 16.8 million colors / 17 effects in one click. Synchronize RGB/RAINBOW strips and other RGB solutions for customization. 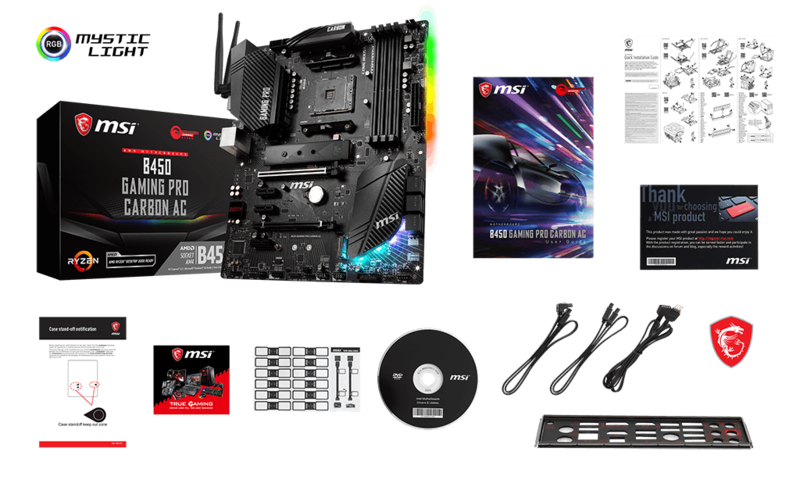 Please refer www.msi.com for more information on compatible memory. 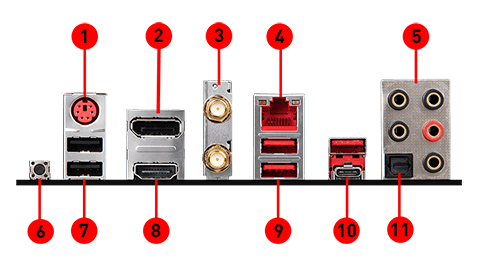 SATA5 and SATA6 ports will be unavailable when installing a M.2 device in M2_1 slot. Supports Wi-Fi 802.11 a/b/g/n/ac, dual band (2.4GHz, 5GHz) up to 1.73 Gbps speed. * To support Windows® 7 64-bit, you must install an AMD Pinnacle Ridge & Summit Ridge CPU.